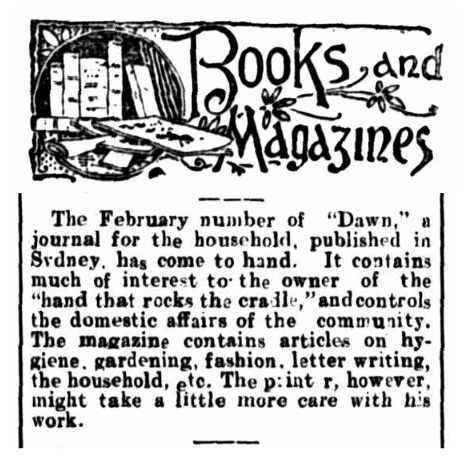 The February number of "Dawn," a journal for the household, published in Sydney, has come to hand. It contains much of interest to the owner of the "hand that rocks the cradle," and controls the domestic affairs of the community. The magazine contains articles on hygiene, gardening, fashion, letter writing, the household, etc. The printer, however, might take a little more care with his work.